Each patient is different, and so is each independent pharmacy. We take the time to tailor a package of services to best fit your—and your patients'—needs. Our industry-leading service model provides independent pharmacies the tools, expertise, and support to serve their specialty patients. As your partner, Sterling Specialty Pharmacy helps community pharmacies maintain existing relationships with both patients and providers while growing their business. Access competitive specialty pharmacy services. Reduce capital and human resource expenditures. 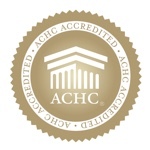 Gain clinical and industry expertise. Leverage Sterling Specialty Pharmacy's technology solutions. Compete in today's specialty pharmacy marketplace. To learn more about working together, please contact us at 888.618.4126. A long history of independence and innovation. Our roots run deep—inspired by the vision of Leonard Astrup—who in 1952 founded his first pharmacy in Austin, Minnesota. For over 65 years, Leonard’s vision and passion has directed our dedicated approach to patient care and partner integration—inspiring the creation of Astrup Companies. Led by the second and third generations of the Astrup family, Astrup Companies has grown to encompass 17 independent retail pharmacies, 4 long-term care pharmacies, a state-of-the-art specialty pharmacy, a nationwide wholesale pharmacy buying group, and a charitable foundation dedicated to giving back to the communities we collectively serve. As the third generation of the Astrup family prepares for future growth, Astrup Companies remains united by a singular purpose: to build healthier lives through caring relationships. 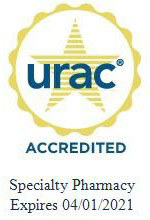 Sterling Specialty Pharmacy is a proud member of Astrup Companies family. We are founded upon a rich heritage of personalized patient care, dedicated community service, and insightful innovation that spans more than six decades. Sterling Specialty, together with our related Astrup Companies’ group of businesses, pledge this to our employees, patients, and partners—we will remain dedicated to our purpose, diligent in delivering the best patient care, and committed to leveraging our experience in the best interest of our patients, partners, and employees. Sterling pharmacies have been delivering community-based patient care and pharmacy solutions for more than 65 years.